We're a friendly web design and development company based in the North East of England. 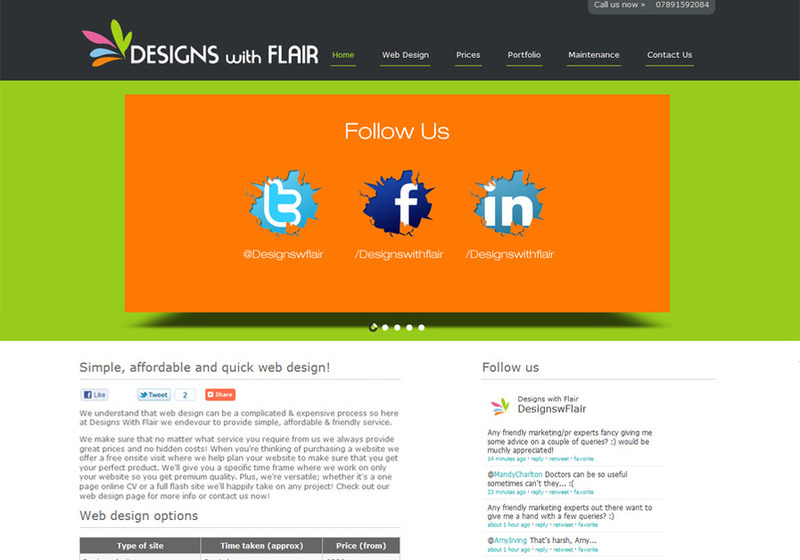 We specialise in high quality, affordable websites with great service. We also offer site redesign, site maintence, hosting, graphic design and social media campaigns. We'd love to discuss your needs so for more information please visit our website at www.designswithflair.co.uk or contact us via phone, email or the form on our website. This is a screenshot of our homepage. It incorporates our core colour scheme, an xml & flash slideshow, live twitter feed and essential information.